​Experience the glitz & glamour of Bangkok City followed by a week of total relaxation on the enchanted island of Phuket. Here is where we give new meaning to the word "retreat." 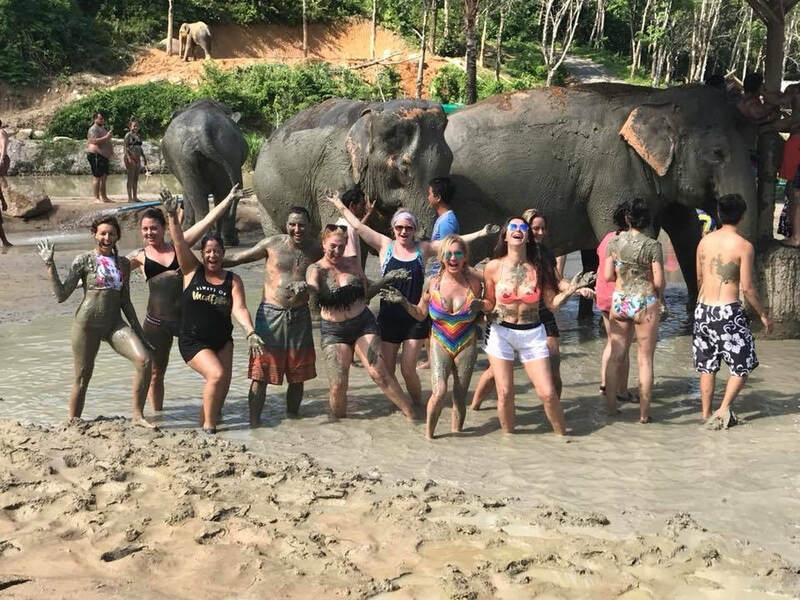 Instead of posting up at a retreat center, join a diverse group of fun loving, positive people as we fully immerse ourselves in the food, culture, traditions and adventures that make Thailand our favorite place on this Earth. Be sure to explore all the videos & links on this site to learn more about this magical journey. We can't wait to meet you! May 2 Arrival Day. 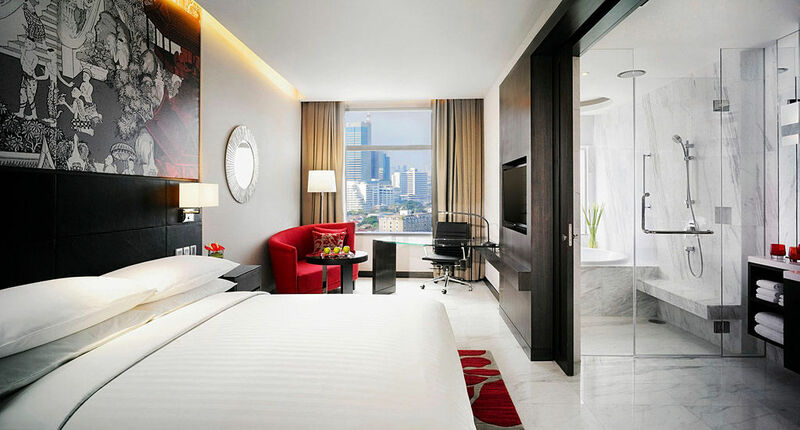 Meet your fellow travelers at the ultra- lux Marriott Sukhumvit hotel in the heart of the city. Check-in and rest up. May 3 & 4 After breakfast, we will have a brief orientation meeting. Then, the next two days will be spent exploring this vibrant city. 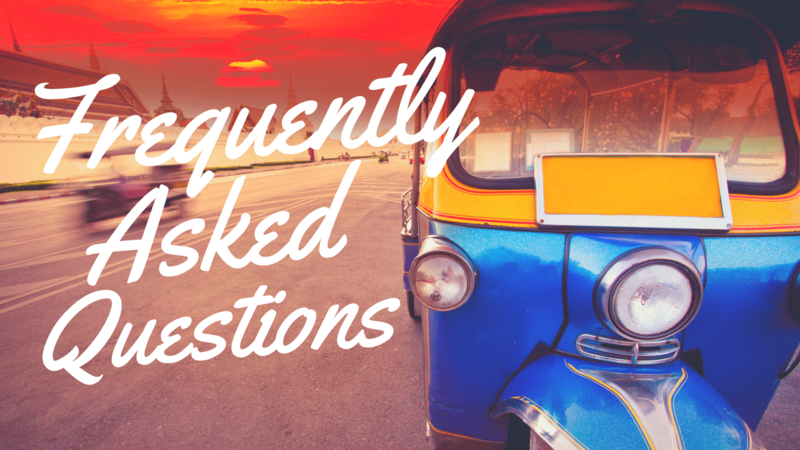 Get around town on the BTS metro or in a colorful tuk tuk. Visit the famous floating markets, experience a monk water blessing, sample street food, shop the mega malls and explore local markets until your heart is content. We will take you to the famous Reclining Buddha and share with you some of our favorite secret spots in the city. Bangkok has something for everyone. From ultra modern shopping & nightlife to old world charm, iconic temples & cuisine. Bangkok is a city that will spark a love inside you and have you wanting to come back for more. ​May 5 Hop on a 1 hour flight with your group to beautiful Phuket, the most visited island in Thailand. We will check in to our chic beach side resort and enjoy a local welcome dinner together. Later that night, catch up on some rest with a sunset massage on the beach or take a late night ride to crazy Bangla Rd with your fellow travelers to see the glittery lady boys, street food vendors and night life this island is famous for. May 6 After so much exploring the past few days, you will surely be ready for some real retreat time. Sleep in a little later, then start your morning with a refreshing yoga flow followed by a healthy breakfast. You may want to book a spa treatment at one of the two luxury spas 5 minutes from our resort. If spa day isn't your thing, laze on the beach all day! There is also plenty to explore at the local village or in famous Old Phuket Town. You will have plenty time to do anything on the island that your heart desires! 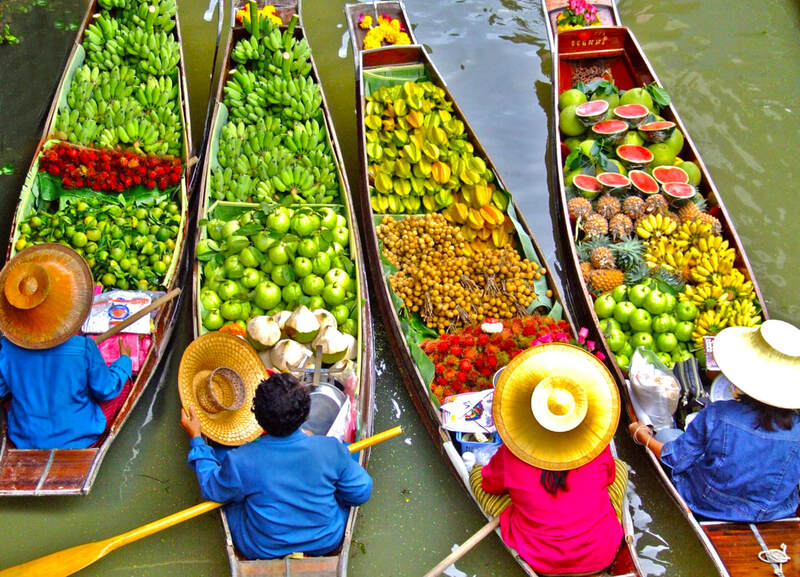 May 7 Enjoy a healthy Breakfast, then pack your bags for a day trip onto the Andaman Sea via private speedboat. We will visit the majestic Phi Phi Islands & Maya Bay ( where the movie The Beach was filmed. ) Enjoy breathtaking views of the surrounding islands, stop to feed monkeys, snorkel with tropical fish, swing in palm trees and enjoy lunch ( included ) during one of the island stops. This is island hopping at its finest! Optional evening yoga / meditation will give us time to express gratitude for this amazing day. Soak it all in! May 8 After another great start to the day, we will venture out to visit the beautiful ELEPHANTS of Thailand! We do not condone mistreatment of animals. ( NO circus shows or elephant rides permitted here ) We will be visiting the newly opened Phuket Elephant Sanctuary where we will feed the elephants breakfast and then observe them in their natural habitat. Once meeting back at our resort you will have free time to visit the near by temples, get a foot massage or shop in local markets. Bring an extra camera battery, This is Instagram #goals . This elephant visit is an optional activity. You can use this as a free day to do something else if you prefer. Relaxing Yoga will be offered this evening as well. May 9 There will be an optional activity An Introduction to Buddhism this morning where we will visit 3 temples and learn about meditation from the local monks. Get an up close tour of the famous Big Buddha and partake in local rituals said to bring health, love and good fortune in to your life. We have left this day open for you to do any activities that are still on your wishlist while in Phuket. ( Zip line anyone? ) After a specially planned farewell dinner party, we will partake in a traditional Thai ceremony bringing a close to our adventure. May 10 Wake up to a beachside yoga session designed to get you ready for the air travel ahead. After breakfast, your group leaders will assist you in getting to your next destination. No retreat centers or dorm rooms here! We only book 5 star Hotels for our retreats. This means you will have complete privacy during your travels as well as all the modern amennities that these hotels provide. We find it important to have a doctor on site, concierge service, laundry service, gym, pool, sauna, spa, free wifi and reliable transportation for every where you wish to go. Bangkok : Your Bangkok Hotel will be located in the heart of Thonglor / Sukhumvit, Bangkok's up and coming neighborhood. Full of trendy cafes, shops and dining options, many expats choose to live in Thonglor because of its hipster vibe and easy accessability to the rest of Bangkok. 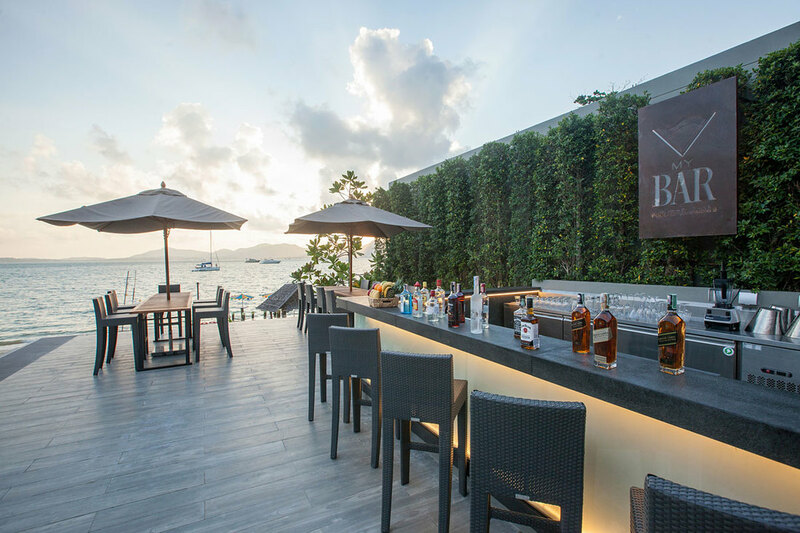 Phuket : In Phuket you will be staying at one of the very few boutique resorts located directly ON the beach in pristine Cape Panwa ( the south east corner of the island. ) The beach resort was just built in March of 2017 so your glass shower, fluffy bed and flat screen tv will all feel brand new! Two of Asia's top rated spas are just minutes from the resort. Panwa Village and historic Old Phuket Town are an easy 15 minute ride away. In both locations, rooms with one king bed or two double beds are available. We suggest booking early to reserve your options. Customized Travel Assistance. We can help to customize any special excursions you wish to do during the trip not listed in our itinerary. If you are looking for a retreat center where you sleep in bunk beds and do intensive yoga trainings 3 times a day, this trip is probably not for you. While we have had some beautiful experiences sleeping in tents and eating soup in the jungle - this is simply not the intent of this trip. We believe that cultural exchange & exploration is vital to understanding ourselves, each other and the world we share. Our Western lifestyle has us constantly giving & on the go. When was the last time you were able to REALLY take a breather, step out of your routine and nourish your mind, body and soul? The Eastern part of the world reminds us to live in the present, cherishing every sight, smell, taste and sound. Together we will re-discover what it means to really live! If you are a first time visitor to Thailand, we have made sure to include a taste of city and beach life so that you feel you are getting the full Thai experience. If this is not your first visit, don't worry, we will be visiting some true hidden gems during this trip that are sure to become your new favorite spots too. On our past trip we had mainly solo travelers, some friends, couples and even family members join the adventure. You can read some of their reviews here at the bottom of this page. The legal drinking age in Thailand is 20 years old. You must be at least 20 years of age to join this adventure. How Will We Meet in Bangkok? Bangkok Airport ( BKK ) is a huge, modern airport with very organized taxi systems. You can hire a taxi for approx $12 USD to your hotel which is a 15 - 20 minute ride. 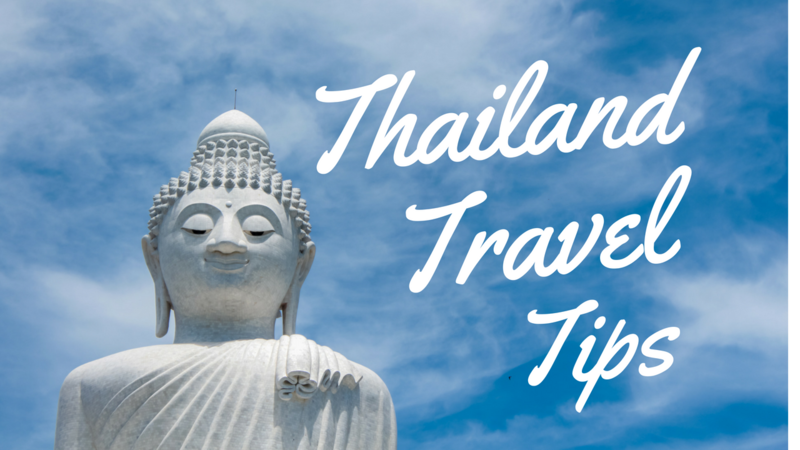 You can also opt to take the Bangkok Airport Link Train for even less. Hotel limo is available upon request for a fee ( $75 one way ) You will receive an email with detailed information on how to get to the hotel once you have registred. 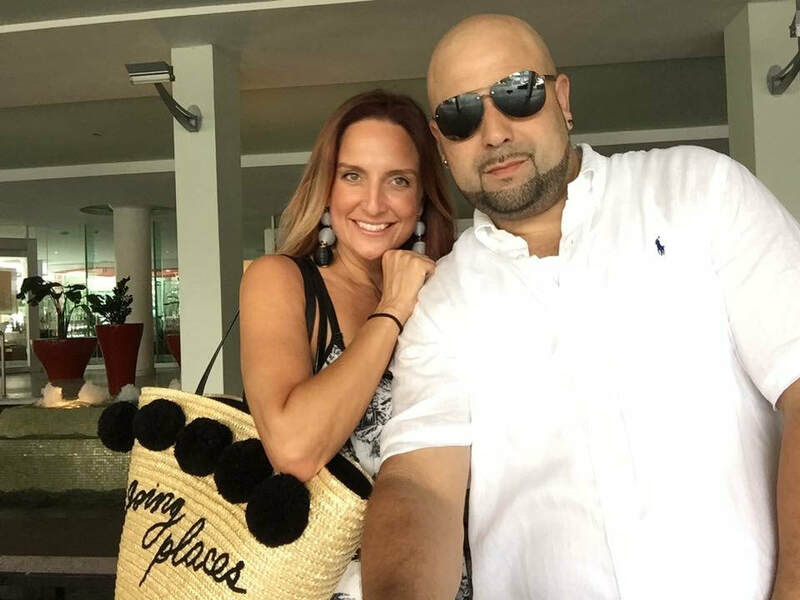 Michelle & Nelson will be waiting to greet you in the hotel lobby upon your arrival. You have the option to pay the full amount or secure your deposit and then submit partial installments on a schedule leading up to the retreat. IF YOU ARE PAYING YOUR DEPOSIT AFTER FEB 1 - PLEASE CONTACT US TO SEE IF THERE IS SPACE AVAILABLE. Once you have registered, you will get a confirmation via email . Then you will begin to receive emails from Michelle with info on how to get ready for the retreat. 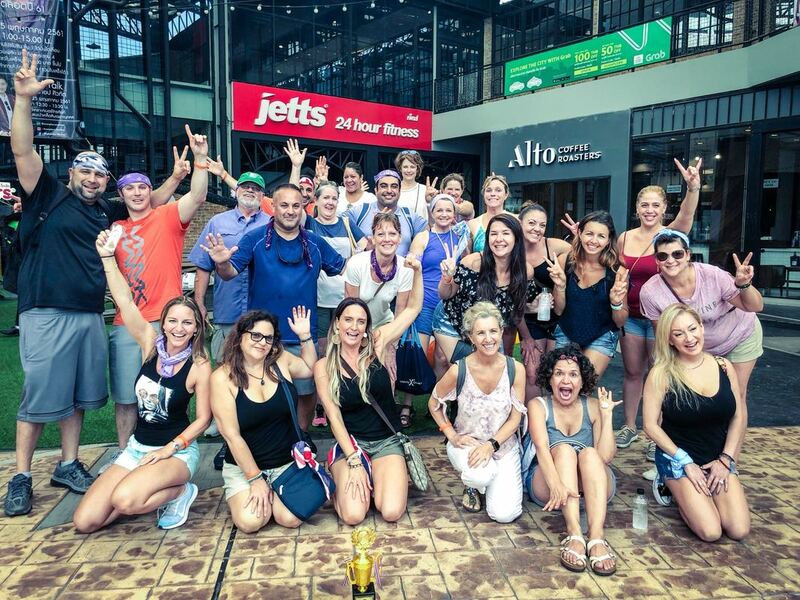 You can also join our private online group so that you can meet your fellow travelers prior to the trip! Michelle Ruiz is a full time E-RYT500 Yoga Instructor who leads Teacher Trainings, large scale events and workshops in the state of Florida and beyond. Having traveled to over 11 countries, her passion is providing once in a life time experiences for others. She believes travel is our greatest teacher and the number one way to reconnect with our selves when we feel we have lost our way. She fell in love with Thailand after her first ( of a few ) visits there 8 years ago. She says that sharing the mindset & beauty of the Eastern world is truly the greatest gift she can pass on to her students and friends. You can read more about her here on the website ABOUT ME page. Nelson Ruiz is a former U.S. Marine. Having traveled to 12 countries and counting, we like to think of him as our bilingual bodyguard. After meeting him once, you will feel you have made a life long friend. Together they lead retreats that involve cultural exploration, education, high quality yoga experiences, plenty of nightlife and moments you will hold in your heart for a life time. See You in the Land Of Smiles ! "I sooo miss the pool at the My Beach Resort. The long pool outside my door - I could jump in each morning with the smell of plumerias all around! That was seriously one of the best hotel rooms I have ever stayed in. It was perfect."